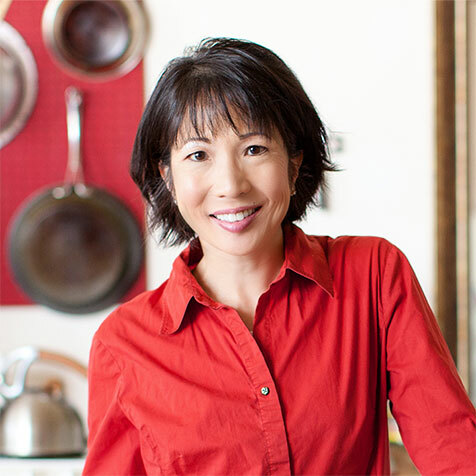 Last year around this time, I wrote about five “must-haves” that ever person who wants to cook real food to improve their health should have in their kitchen, and now I’m ready to add five more for this year’s list! When you are eating food you make yourself all year round with very few exceptions, not only should your food be the highest quality ingredients you can afford, but your kitchen tools and equipment should be things that work, get a lot of use, and are durable. They should also either save you time, or work effectively to help make your food tasty. After the end-of-year gifts are unwrapped, and perhaps you have a little extra pocket money to purchase an item, I support your desire to invest in your health by turning your kitchen into a health center through the cooking of nutritious meals. 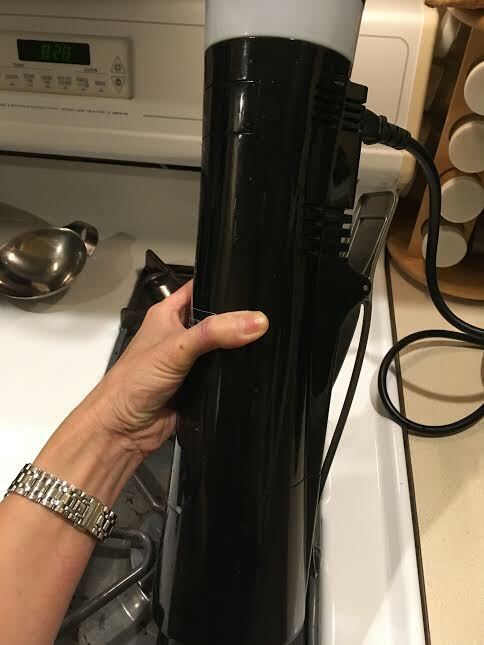 I keep this sous-vide immersion circulator on the counter top because it gets used often in our kitchen. 1. Sous vide cooking device. After receiving a Sansaire Sous-vide Immersion Circulator for my birthday this year (yes, I asked for a cooking device for my birthday! ), I have discovered the joys of juicy, perfectly-cooked meats. What I didn’t fully understand was that sous-vide cooking is just the first step; what you do with the meat after it is cooked to perfection is completely up to you: sear it with a torch, braise it on the grill briefly, or deep fry it afterwards. I have since poached eggs and salmon for the loveliest breakfasts, and created simple but beautiful dishes with lamb that look like they fell out of a fancy cookbook. If a circulator device is too spendy for your budget, you can also learn to cook the sous-vide method using a precise digital thermometer and thick plastic Ziploc bags. Either way, if you haven’t tried sous-vide cooking at home, you will want to make one of these options a new must-have and must-do! A panini grill pan gives you those beautiful lines across whatever you are grilling indoors on the stove. 2. 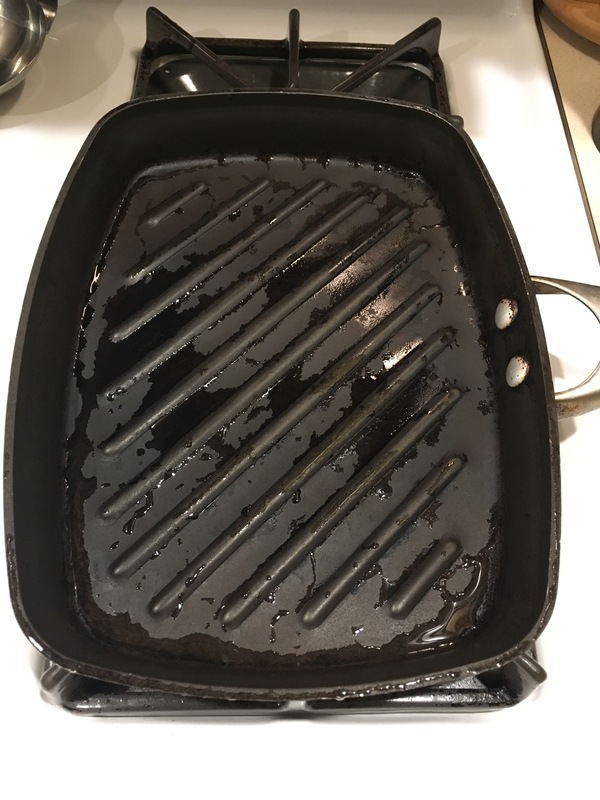 Panini grill pan. When it became clear that any kind of gluten-free bread and I were not meant for one another, I became obsessed with this idea that my food needed to still look like it could have panini grill marks seared across it. Yes, even a mini gluten-free pizza crust, for the love of bread! And if you are among the fortunate who can have GF bread and some kind of dairy-free butter, spread, or non-dairy cheese, what would look better than those three dark stripes across the face of the bread from a panini grill pan? Calphalon’s Contemporary Non-Stick Panini Pan will get it done. 3. Travel Sized Blender. After traveling to several cities and staying in every kind of accommodations from an AirBnB to a Bed and Breakfast to a hotel suite, that one thing I can’t seem to do without is a blender. 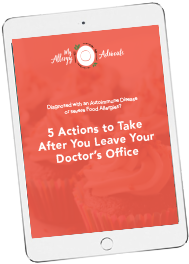 Even if your destination accommodations has one, you can’t know if it was cleaned properly of your allergens, and you don’t want to put your hand down to the blade to try to scrape that bit of gluten, nuts, dried milk, or peanut butter off it. No no no. Instead, try a travel sized blender, like the Magic Bullet Blender. For just around $40, you have a tool that you can make your smoothies, puree vegetables for a soup, or in my case, make my “bike food” for when I have long training rides. Goes into your checked luggage. They are not lightweight (none of them are), yet if you travel, it could help you make eating while on travel more healthy and safe. I don’t have a picture of one for you because this is going to be my gift to me, after borrowing one from a friend who hadn’t used hers much. Happy Holidays to me (and my tummy!). When not on travel, it will be in my office, so I can make myself smoothies, protein shakes, and carrot ginger soup (my favorite). 4. Canning Tools (bottles, lids, pot for sterilizing). Of all the “must-have’s”, this one is perhaps the cheapest, yet packs a lot of punch in terms of what you can do for your guts and your food budget. Purchase mason jars and lids from your local grocery store, craft store, or kitchen and bath store. They are sold separately or in boxes of multiple jars and lids. By purchasing food in season and either freezing it immediately until you have time to do some canning, or canning immediately, you can nourish your body with everything from fermented foods you make yourself, to your own low-sugar fruit spread, to summer fruits you may choose to eat in the dead of winter. 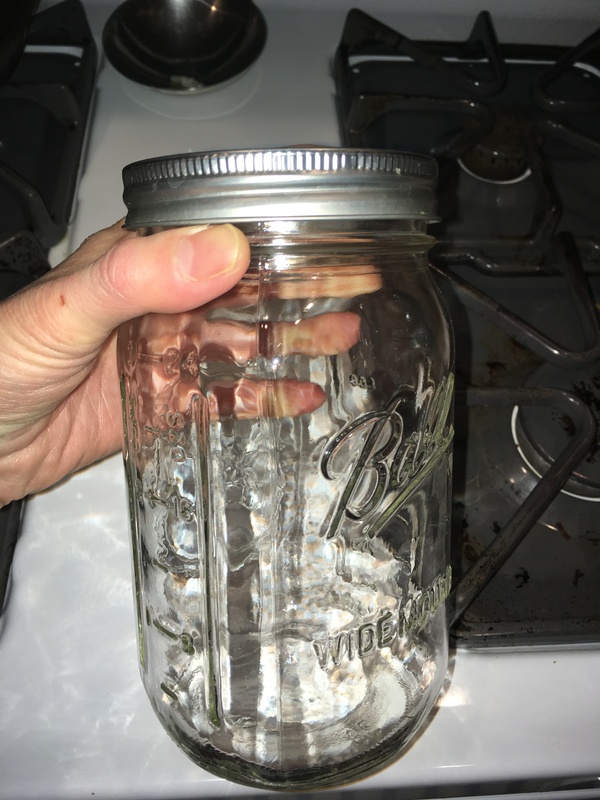 You can buy mason jars with lids from your local craft store, or alternatively opt into a jar and lid program where you can buy packs of lids, because it’s the lids that you need to replace more frequently for the best seal. If you have never canned anything before and don’t have any of the necessary tools, you might want to start with a simple kit and buy some jars. If you have some of the pieces, then you might want to shop around to pick up just the tools you are missing. I’ve gotten into fermenting daikon root and cabbage, and canning fruit. Anolon pot with pour spout and drain lid (two sizes, small and large holes). Perfect for gluten free pasta, melting foods, allergen free sauces. Keep your gluten eating family members away from your pot! 5. Pot with pour spout and draining lid. 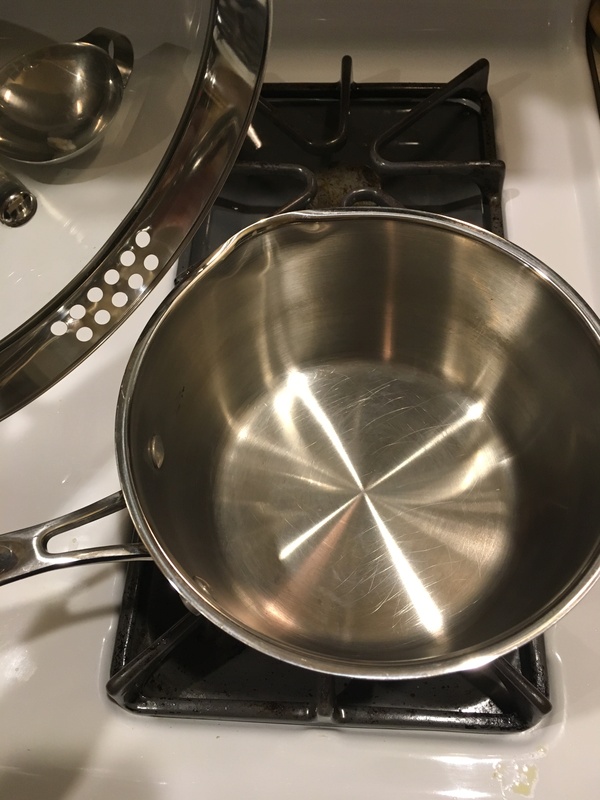 One of the ways you can produce a meal quickly with less mess and no need for a colander is to purchase a pot with a pour spout and drain lid. For absolute safety, you can assign your pot to yourself and any family member who is gluten free, so you can safely drain your GF pasta without worrying about gluten particles stuck in the tiny holes of an old colander, which you will never be sure is completely clean on those old plastic ones, ick. I cannot tell you how many meals I have produced in a single pot like this one. Makes clean up a breeze. I bought two of them from Anolon last year, and I use these pots frequently. You decide if you want the premium model with the copper bottom for even heat distribution. Honestly, just limiting my must-have list to five items is really tough! Yet I’m looking forward to next December, when I’ll add five more after doing my own careful experimentation and in-the-kitchen research to help all your Hungry Minions make food fun again. To your health, to your Happy Tummy, and to a gut-strong 2017! Happy Holidays and Happy New Year! P.S. Need a stocking stuffer idea for your favorite cook-at-home best buddy? Try the Chef’n Kale, Greens, and Herbs Stripper. I use this to prepare kale quickly for dehydrating on my Cabelas Food Dehydrator, allowing me to carry greens with me on travel. Simply add hot water to rehydrate.